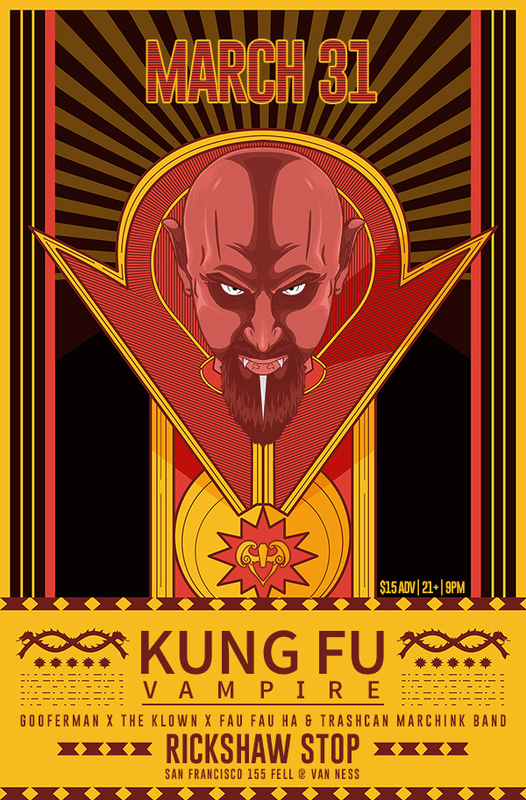 Radio420™: Kung Fu Vampire performing in San Francisco Saturday, March 31st! Kung Fu Vampire performing in San Francisco Saturday, March 31st! 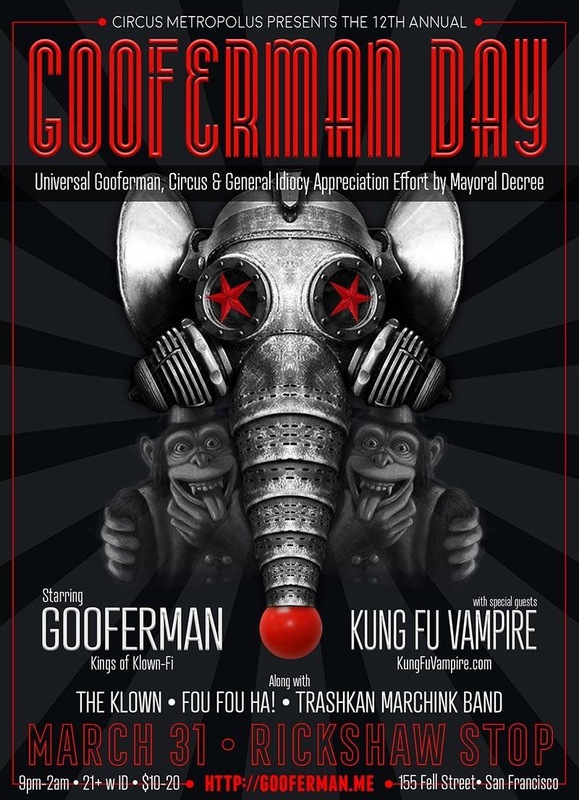 Coming up tomorrow night, our homie Kung Fu Vampire will be performing a special one-off show in San Francisco with another group called Gooferman: Kings of Klown-Fi. The show is taking place at the Rickshaw Stop on 155 Fell Street. Check the flyers with all info on supporting acts below.